On-board firmware, large data buffers and a high-level offer total flexibility for monitoring and generating ARINC bus traffic. Simultaneous Scheduled and Burst Mode (FIFO) messaging is supported on all ARINC 429 transmit channels. 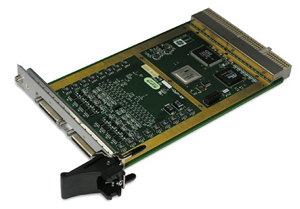 Each ARINC 429 receive channel provides simultaneous Dedicated and Buffered Mode storage, along with label/SDI filtering.